With half the day spent on the beaches of Santa Monica, we now find ourselves stuck in traffic as we fight our way towards Joshua Tree. The pier was absolutely blowing up with trainers, Pokemon Go was everywhere you looked. Last year when we visited it was a completely different vibe, the long wooden boardwalk filled with ska bands and well dressed beach goers, all touting a perfect California tan. This year however, crowds and crowds of trainers flooded the area. People standing everywhere with phone in hand, forgetting their surroundings and blocking pathways, all happily conversing about the various Pokemon inhabiting the beach. Young and old they came, not in the spirit of competition, but rather working towards a common goal, complete strangers coming together, sharing a connection so universal, and so powerful as to help shape an entire generation. It’s really an amazing thing to see, the power this game has to bring people together. Everywhere I’ve gone I’ve run into other players, asking me if I was fighting the nearby gym, what team I played for, always as cheerful as a kid on Christmas. Or really anyone on Christmas let’s be real. 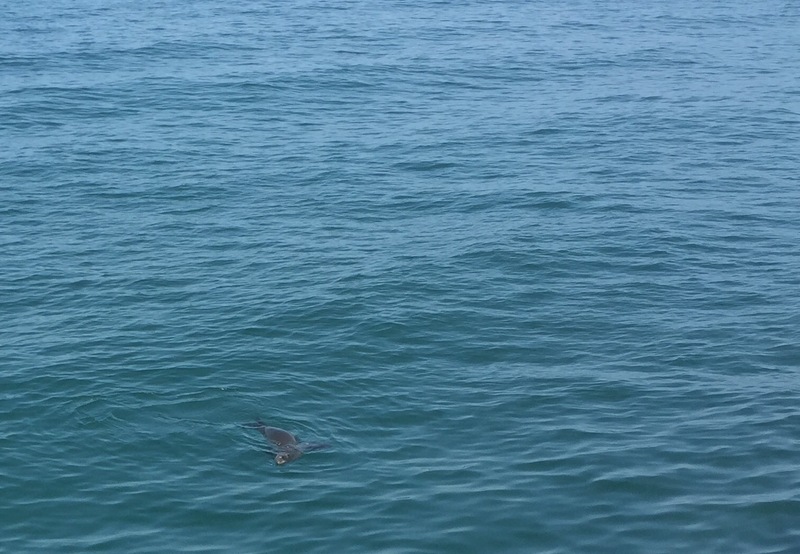 In another note, spotted a sea lion off the end of the pier and managed to track him down. He was relaxing in the water below a line of fisherman who had set up for the afternoon and we’re just getting underway. I imagine he appreciated the help in attracting his lunch to a single shady area.